A scavenger hunt to raise funds in support of the American Parkinson Disease Association, Northwest Chapter. Put simply – to help find a cure. Through this fun event, we’re working to raise money for research and bring awareness to our community. Participants accumulate points by answering clues and completing challenges. The top three teams win prizes and everyone has a great time. 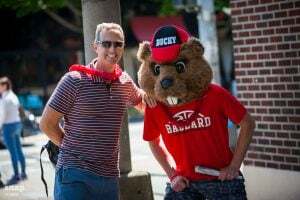 The event takes place in Ballard on Saturday, October 6th, 2018 at 1:00 pm. The day kicks at Trident Seafoods (5303 Shilshole Avenue NW) and parking is free. Registration will be open from 12:00-12:45 pm. Your team must be present, registered and ready to go by 1:00 pm. WHERE DOES THE EVENT TAKE PLACE? 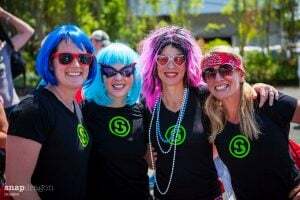 You will find clues throughout the beautiful Ballard neighborhood starting at Trident Seafood’s parking lot (5303 Shilshole Avenue NW) and ending with a party at Peddler Brewing Company (1514 NW Leary Way), where we’ll kick back and recap the day with prizes and refreshments! IS THIS A RACE OR A SCAVENGER HUNT? A little bit of both! You’ll be on foot, making your way to as many stops as possible during the allotted time. Your team will need to develop a strategy because each stop has different point values and you may not be able to complete all of them in time. Smart phone use is allowed, including maps, Internet research, and calling friends for help. No wheels are permitted (“wheels” includes but is not limited to cars, buses, bikes, scooters, or skateboards) unless to assist a participant with a disability.